Is an amateur theoretical archaeo-astronomer and author of the binary theory of precession. As Executive Director of the Binary Research Institute he researches the celestial mechanics of the precession of the equinox, as well as myth and folklore related to this phenomenon. He is the writer-producer of The Great Year, a PBS broadcast documentary film (narrated by James Earl Jones) that explores evidence of astronomical cycles of time known to cultures throughout the ancient world. 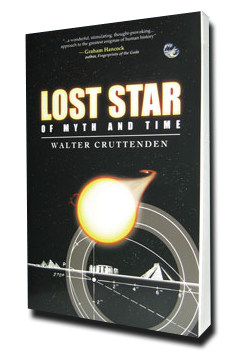 Most recently Cruttenden wrote Lost Star of Myth and Time, a book that provides an alternative view of history based on the solar system’s motion through space. It is his belief that the myth and folklore depicting a repeating cycle of Golden Ages and Dark Ages may have a basis in fact, due to the alternating stellar forces that affect Earth as our solar system moves in a 24,000-year binary (dual star) orbit. Cruttenden frequently speaks to groups about the ancient mystery of the precession of the equinox. His talks explain how cutting edge scientific evidence challenges the current theory of precession. Due to the work of Cruttenden and others, interest in ancient knowledge and solar system theory is on the rise as more people become aware of the importance of our present Age and the potential it holds for humankind. Cruttenden founded the Galileo Awards to further stimulate research and interest in precession and help in the search for our Sun’s binary companion. Cruttenden was featured on several television and radio programs, including CNBC, CNFN, KOCE. Recently he has given talks at the Self-Realization Fellowship in Los Angeles, East-West Bookstore in Palo Alto, University of Virginia, University of Arizona, University of California at San Diego, Newport Film Festival and the Society for Scientific Exploration. In 2004, Cruttenden founded and appeared at the Conference on Precession and Ancient Knowledge (CPAK) in Vancouver, BC, Canada along with other authors and researchers: John Major Jenkins, John N. Harris, Karl-Heinz Homann & Uwe Homann. 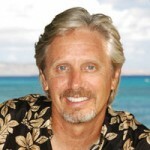 He sponsored and participated in the Second Annual CPAK conference in Sedona, Arizona in November, 2005 which included as speakers Graham Hancock, the author of Fingerprints of the Gods, geologist and author Robert Schoch, known for his work redating the Great Sphinx in Egypt, John Major Jenkins, author of Maya Cosmogenesis, and several other experts on ancient cultures. The 2016 conference is currently scheduled to take place in September 30 – October 2 in Rancho Mirage, California. Cruttenden is married, has four sons and resides in Southern California. He enjoys surfing, hiking, and esoteric studies.